The Judiciary of Guam's Superior Courthouse is located on West O'Brien Drive across from the Agana Public Library. There are two entrances. One entrance is located facing West O'Brien Drive. The other entrance is located behind the building facing the Courthouse parking lot. 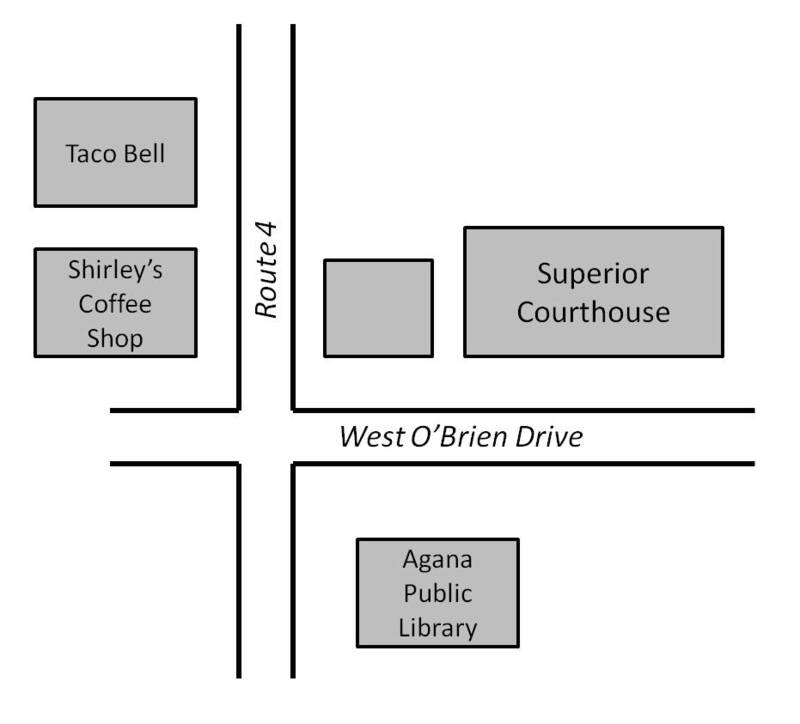 Parking is located behind the Courthouse. Customer parking is clearly marked. So, be aware of reserved parking slots. Also, be aware that parking slots fill up very fast. It is important that you be very early for your hearing so that you can find a slot to park in. As you enter the Courthouse, you will be greeted by the Court Marshalls for security screening. The Marshalls are located at each entrance at all times to ensure safety in the Courthouse. Before the Marshalls can let you in, you must first empty your pockets and place all you belongings in bins that the Marshalls will provide. Then, you and your belongings will pass through scanning devices. The Marshalls will then scan you for weapons by passing a wand around your body. You will be asked to raise your arms and turn around during this scan. Your belongings will then be returned to you unless the Marshalls find something that can be used as a weapon. If the Marshalls find something that can be used as a weapon, they will confiscate it. If the Marshalls confiscate any of your items during the scans, they will return the items to you when you leave the Courthouse. There is a directory located above the Court Marshall's desk at the entrance to the Courthouse. The directory provides information on the location of each judge's courtroom. If you need any help with finding your way around the Courthouse, you can ask the Marshalls for directions.